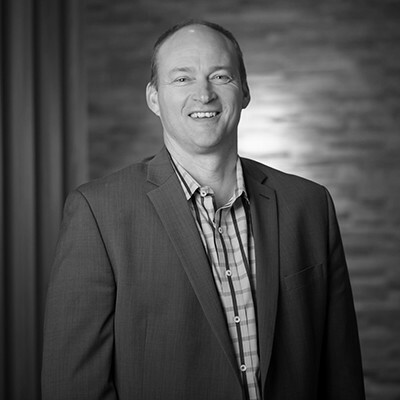 Doug Imholte is passionate about finding solutions that support his clients' success. “I spend my days thinking about my clients and how we, as partners, can help them manage and improve their business,” he says. Doug's career has been marked by growth—at every position Doug has developed new sales strategies, repeatedly exceeded his sales quotas, and expanded the business. Doug began his career as an insurance underwriter and quickly moved to leadership positions. Over the next 20 years, he built strong teams at several companies, working to deliver the best solutions for his customers' needs. While at e-learning company LearningByte International, Doug developed and grew two regional sales teams and served on the Strategic Leadership Team, where he helped steer the direction of the organization. In 2004, Doug purchased the Minnesota master franchise rights for Wireless Toyz, a national wireless franchise. He managed operations from strategy, sales, finances, and marketing to the P&L insurance. “I understand the daily duties and pressures that franchisees face in growing and operating their businesses,” Doug says. “I have faced the same challenges and dealt with the same risks.” After developing the territory from zero stores to seven, Doug sold the business. Doug's experiences in insurance, sales, and business strategy, and as a business owner have developed his deep understanding of business risk. Today, Doug is a member of the International Franchise Association, and has served on the boards of the Saint John's University National Alumni Association, the Lakes Street Council. He volunteers with the Leukemia-Lymphoma Society and coaches his daughter's basketball team. He enjoys spending time with his kids, golf, travel, and has completed three marathons.